Ready to accelerate business growth and optimize the efficiency of your JD Edwards processes and systems? 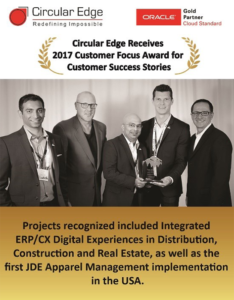 Circular Edge has extensive expertise in supporting a diverse set of business processes, applications and key industry solutions such as finance & procurement, HCM, manufacturing & distribution, sales & CX, supply chain (warehouse, transportation, inventory, etc. ), Order to Cash, Procure to Pay and more. Circular Edge understands the importance of optimizing JD Edwards to align with your specific goals and can help implement, customize & maintain solutions through a variety of practices, including project planning, requirement gathering, as-is and to-be process definitions, process design & reengineering, system configuration, user training & skills enablement, testing, documentation, project go-live and, production support, readiness assessments & health checks. 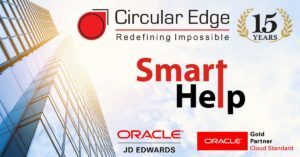 Let us show you how to leverage Circular Edge’s Smart Help model to free up IT resources, monitor and manage systems to proactively respond to issues, improve efficiencies among processes and people and optimize your JD Edwards systems and organization. Order to Cash Automation across Sales, Procurement, Inventory, etc. “The Circular Edge owners and seemingly every resource, albeit working in-house at our company or offshore, demonstrate a passion and drive as if they are a part of my company. They were an integral part in migrating our company from an outdated ERP system to JDE E1. 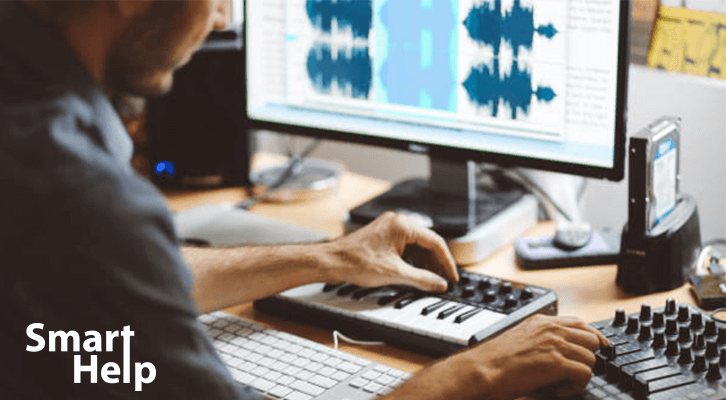 Since that launch of 5.5 years ago, their Smart Help division has, and continues to aid us in configuring new processes, modifying and developing new software and trouble-shooting issues as needed." How can we help support the success of your business?